The team at Evolution Motorsport were kind enough to share these pics of Mira Mae at their shop, so of course we just had to share them! 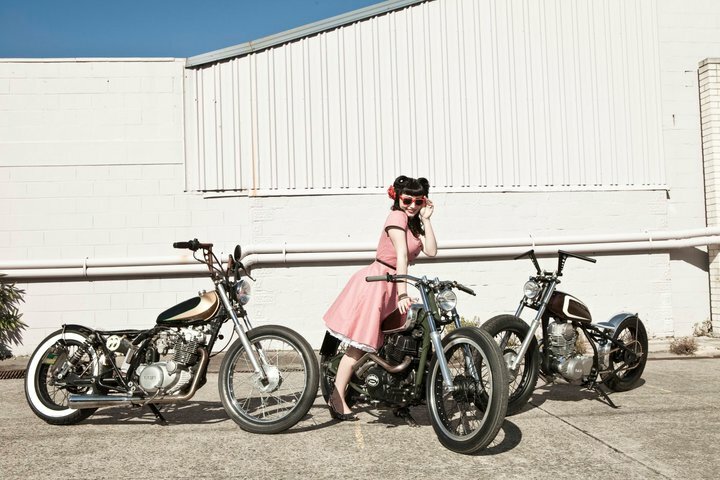 The shop has a well established motorsport pedigree, but luckily for us they’re using their skills for good not evil and turning out some cool projects – such as their awesome FED, a bunch of cool bikes and a sweet ’56 Plymouth. Check out more pics of their work on their website www.evolutionmotorsport.com.au or click here for their facebook fan page and there’s also a blog http://evolutioncustoms.blogspot.com We can’t wait to see what they come up with for their ’35 pickup! Oooh what I would give for a workshop like that!